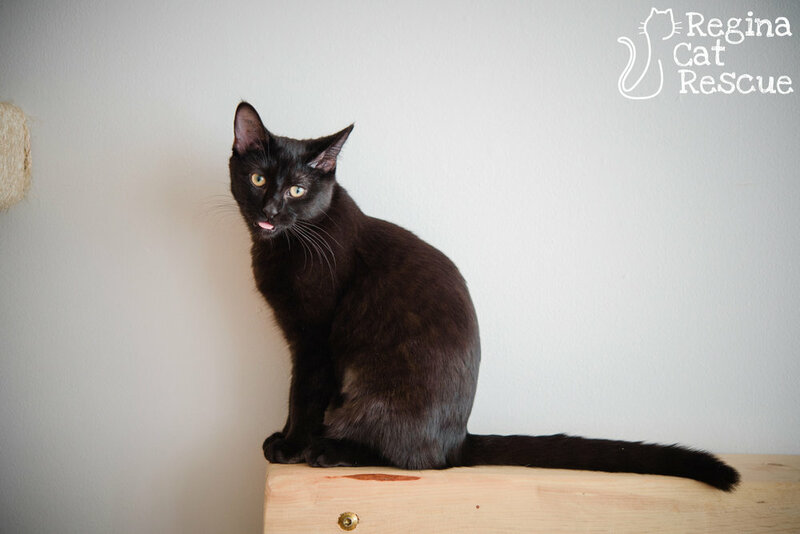 Other information: Good with other cats and has been exposed to dogs. A wet cat is not a happy cat. I, Moonlight, was a rain-soaked cat when the community cat team volunteer found me. Though I wasn’t happy at being wet, I was happy to be rescued. As a stray, I learned to be cautious. I’m a bit observant at first, but I do adapt well. I’m also friendly. I’m a house panther, with shiny black fur and golden eyes. I observe and see all. Like the unattended crinkle toy or ball. After I spy my prey, I hunt, chasing it all about. 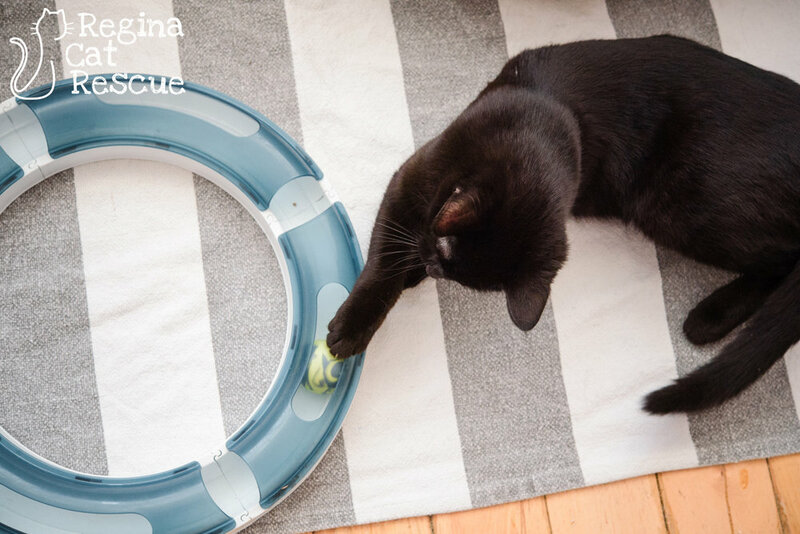 Play is a very important part of being a good house panther. I enjoy the company of other felines and have been exposed to dogs. It is very important for me to have a warm, dry forever home. 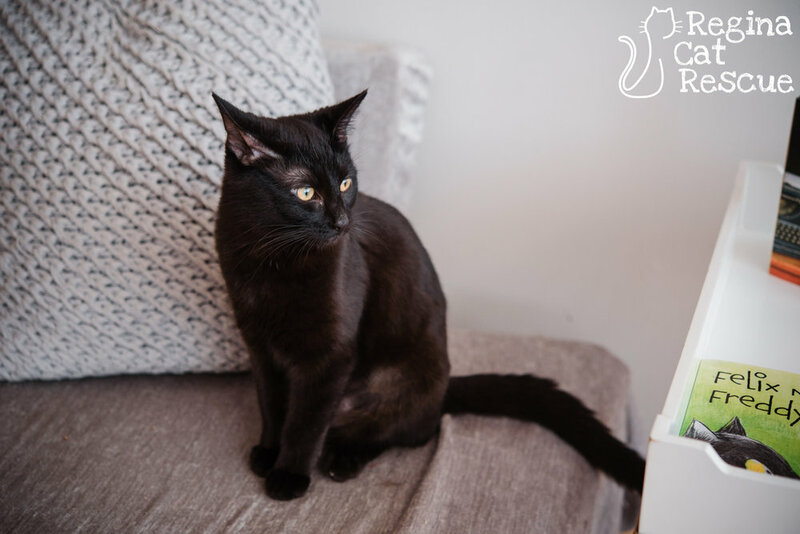 Might you have an opening for one house panther? 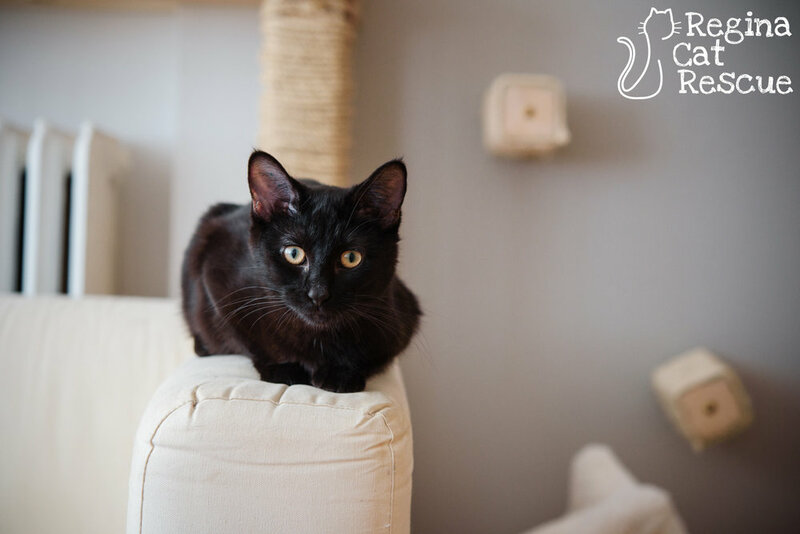 If you are interested in Moonlight, click here to view our adoption contract and click here to complete an adoption application or email the RCR Adoption Coordinator at rcradoptions@gmail.com for more info.